Agents, ZeeOps HQ’s system has been hacked and all of our files on past missions have been erased! You’ll have to recreate past Operations in what we’re calling LegaZeeOps. It’s up to you to keep the legacy of this organization in tact. The missions for this month are the same that were previously available in June 2018’s Operations. In an attempt to prepare for the oncoming war between the First Clan and The Rising Sons, ZeeOps scientists are researching the battle patterns of the Zodiac Vigilante. Utilizing Neurological Memory Technology we need you to relive your previous battles with the enemy. January 2019 ZeeOps Operations are now live and you can begin planning your Missions to start on the following day. You can plan your Operations at munzee.com/ops/ and purchase more ZeeCred in the Freeze Tag Online Store. Remember that if you hit a snag at any point in your Operation you can use the new Mission Mulligan feature to keep going! Since this month is focused on Zodiac Munzees be sure to stock up on Zodiac credits in the online store. 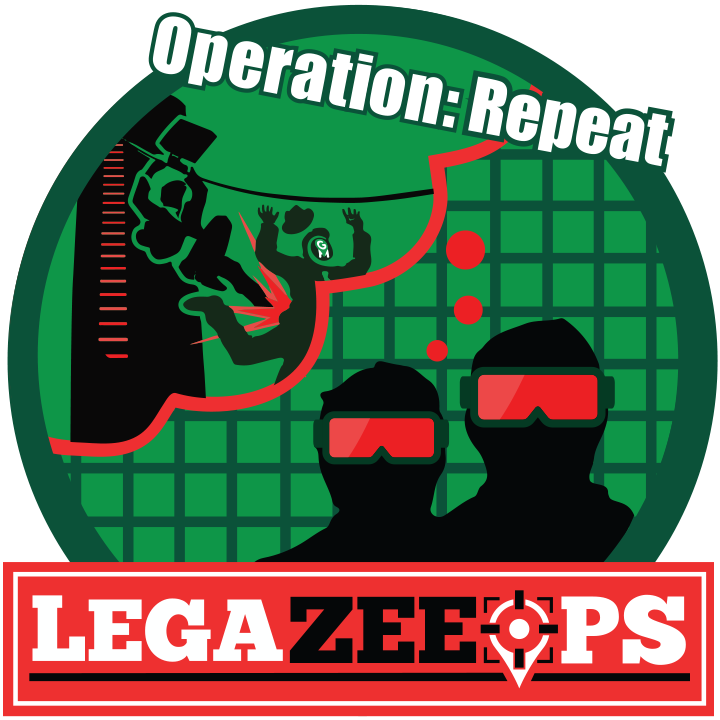 By completing any Operation this month you’ll earn the new* “LegaZeeOps- Operation: Repeat” badge. *Due to requests from the community all LegaZeeOps badges will now be different from the badge earned during the initial run of the month’s Operations. So players who earned the “Operation: Repeat” badge in June 2018 can also earn the “LegaZeeOps- Operation: Repeat” badge as well by completing a January 2019 Operation. Basic Training + – Earn at least 1,000 points. Defensive Training– Deploy at least 10 munzees. Offensive Training– Capture at least 25 munzees. Seeing Stars I- Capture at least 15 Zodiac Munzees of any type. Seeing Stars II- Deploy at least 5 Zodiac Munzees of any type. Going Green- Capture at least 20 greenies and deploy at least 10 greenies. Messy Memory- Deploy at least 15 Zodiac Munzees of any type. Cryptic Copycat- Capture at least 25 Zodiac Munzees of any type. Unlikely Light- Deploy at least 20 Zodiac Munzees of any type. Put The ME In MEAN- Capture at least 20 and deploy at least 10 Greenies. Jumbling Jewels- Deploy at least 20 jewels of any type. Intelligence Infiltration- Deploy at least 100 greenies. Sets In The West- Capture at least 30 and deploy at least 20 Zodiac Munzees of any type. Agents, ZeeOps HQ’s system has been hacked and all of our files on past missions have been erased! You’ll have to recreate past Operations in what we’re calling LegaZeeOps. It’s up to you to keep the legacy of this organization in tact. The missions for this month are the same that were previously available in May 2018’s Operations. Since the last issue with the Evo Munzees, Director Zee has ordered a halt on all further development. Unfortunately during the Zodiac Vigilante’s Evo antics earlier this year, the shape shifting creatures are still roaming the world. We must continue our efforts to monitor and capture Evos. The Zodiac Vigilante has revealed that the First Clan and The Rising Sons are collecting Evos for their own nefarious schemes. Although the masked man has been holding them off on his own, he has turned to ZeeOps HQ for aid. Be weary though, his allegiances are his own, which is both good and bad. December 2018 ZeeOps Operations are now live and you can begin planning your Missions to start on the following day. You can plan your Operations at munzee.com/ops/ and purchase more ZeeCred in the Freeze Tag Online Store. Remember that if you hit a snag at any point in your Operation you can use the new Mission Mulligan feature to keep going! Since this month is focused on Evolution Munzees be sure to stock up on Physical and Virtual Evo Paks in the online store. By completing any Operation this month you’ll earn the new* “LegaZeeOps- Operation: rEvolution” badge. *Due to requests from the community all LegaZeeOps badges will now be different from the badge earned during the initial run of the month’s Operations. So players who earned the “Operation: rEvolution” badge in May 2018 can also earn the “LegaZeeOps- Operation: rEvolution” badge as well by completing a December 2018 Operation. Evolution Effectiveness I– Capture at least 10 Evolution Munzees of any type. Evolution Effectiveness II- Deploy at least 5 Evolution Munzees of any type. Group Training + – Earn at least 1,000 cap-on points. Virtual Surreality– Capture at least 100 virtual munzees of any type. Scientific Signs– Capture at least 15 Evolution Munzees of any type. Advanced Training– Earn at least 10,000 points. Always Aware– Deploy at least 50 physical munzees of any type. Decoy Deploys– Deploy at least 15 Evolution Munzees of any type. Green Genomes– Capture at least 20 and deploy at least 10 Greenies. Expert Training– Earn at least 50,000 points. Green Games – Capture at least 50 Greenies. Helix Hierarchy – Deploy at least 15 and capture at least 10 Evolution Munzees of any type. Agents, ZeeOps HQ’s system has been hacked and all of our files on past missions have been erased! You’ll have to recreate past Operations in what we’re calling LegaZeeOps. It’s up to you to keep the legacy of this organization in tact. The missions for this month are the same that were previously available in April 2018’s Operations. The battle between The First Clan and The Rising Sons is looming, and it seems everyone is choosing allegiances. Although ZeeOps HQ is firmly a neutral party, it’s important we keep track of other possible factions. Look into the Authorized Reseller group known as R.U.M. for any possible collusion. We have received intel that R.U.M. is kickstarting a bidding war between The First Clan and The Rising Sons. Despite their claims to stay neutral, this powerhouse of Authorized Resellers can tip the scales of war! It’s up to you to take control of the situation by capturing different RUMs (Reseller Unique Munzees) throughout the month. November 2018 ZeeOps Operations are now live and you can begin planning your Missions to start on the following day. You can plan your Operations at munzee.com/ops/ and purchase more ZeeCred in the Freeze Tag Online Store. Remember that if you hit a snag at any point in your Operation you can use the new Mission Mulligan feature to keep going! Since this month is focused on Resellers be sure to pop over to one of their stores to stock up on RUMs and everything else you could need. You can find the list of Authorized Resellers HERE. By completing any Operation this month you’ll earn the new* “LegaZeeOps- Operation: Overboard” badge. *Due to requests from the community all LegaZeeOps badges will now be different from the badge earned during the initial run of the month’s Operations. 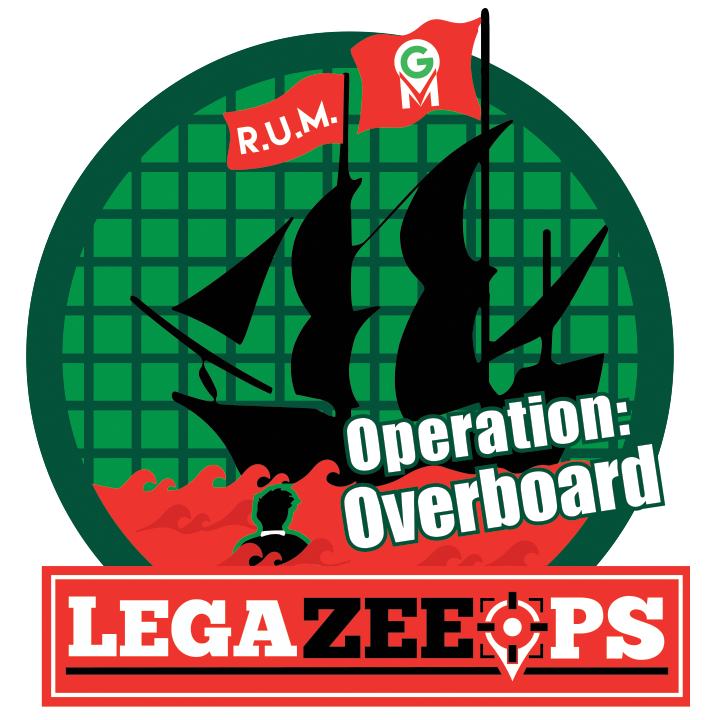 So players who earned the “Operation: Overboard” badge in April 2018 can earn also earn the “LegaZeeOps- Operation: Overboard” badge as well by completing a November 2018 Operation. Rule Of RUM I– Capture at least 5 RUMs of any type. Rule Of RUM II- Deploy at least 2 RUMs of any type. Sea Seekers– Capture at least 10 RUMs of any type. At The Helm – Deploy at least 5 RUMs of any type. Double Crossed!– Capture at least 5 and deploy at least 1 RUMs of any type. RUM Repeaters– Capture at least 1 RUM from 5 different Resellers. Deep Zee Divers– Deploy at least 10 RUMs of any type. Green In The Face– Capture at least 20 and deploy at least 10 Greenies. Triple Crossed!– Deploy at least 10 and capture at least 5 RUMs of any type. Yo Ho, Yo Ho! – Capture at least 50 Greenies. Agents, ZeeOps HQ’s system has been hacked and all of our files on past missions have been erased! You’ll have to recreate past Operations in what we’re calling LegaZeeOps. It’s up to you to keep the legacy of this organization in tact. The missions for this month are the same that were previously available in March 2018’s Operations. Agents, seemingly out of nowhere the Mean Green Gang has made it’s presence felt in a BIG way. They have publicly announced their return and opened towering new headquarters in a number of major cities. What could they possibly gain by making their crime syndicate known all across the world? The Mean Green Gang has a new battle plan- an international PR campaign! They claim to be called the “Miracle Green Group” and are a beacon of hope and world peace. We can’t allow the public to be tricked by their propaganda. It’s up to you to defeat the Mean Green Gang once more and expose them for the villains they are! October 2018 ZeeOps Operations are now live and you can begin planning your Missions to start on the following day. You can plan your Operations at munzee.com/ops/ and purchase more ZeeCred in the Munzee Online Store. Remember that if you hit a snag at any point in your Operation you can use the new Mission Mulligan feature to keep going! Since the focus of this month’s Operations is sure to make you green with envy, why not stock up on some new Urban Camos or Generics? Load up your supply in the Freeze Tag Online Store! 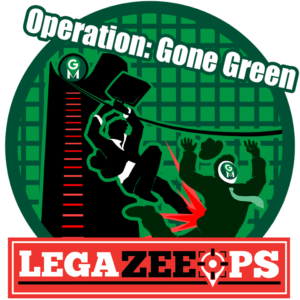 By completing any Operation this month you’ll earn the new* “LegaZeeOps- Operation: Gone Green” badge. *Due to requests from the community all LegaZeeOps badges will now be different from the badge earned during the initial run of the month’s Operations. 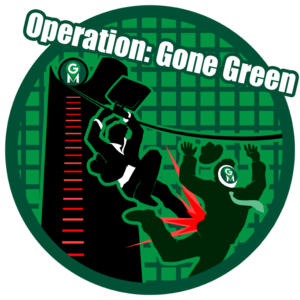 So players who earned the “Operation: Gone Green” badge in March 2018 can earn also earn the “LegaZeeOps- Operation: Gone Green” badge as well by completing a October 2018 Operation. Green Grades I– Capture at least 15 Greenies. Green Grades II- Deploy at least 5 Greenies. Emerald Enemies– Capture at least 25 Greenies. Green Eye In The Sky- Capture at least 35 Greenies. Public Zee-lations– Deploy at least 15 Greenies. Put The ME In MEAN– Capture at least 20 and deploy at least 10 Greenies. Get The Green– Capture at least 50 Greenies. Green Gone Good?– Deploy at least 25 Greenies. The Green Escape– Capture at least 250 physical type munzees. Agents, ZeeOps HQ’s system has been hacked and all of our files on past missions have been erased! You’ll have to recreate past Operations in what we’re calling LegaZeeOps. It’s up to you to keep the legacy of this organization in tact. The missions for this month are the same that were previously available in February 2018’s Operations. Agents, more and more Zodiac symbols are showing up across the world. Although the motive matches the Zodiac Vigilante, something seems different about these. The secret organization The Rising Sons are also looking for the Zodiac Vigilante, which makes finding him even more important. Although the masked man is prophesied to be the group’s leader he has shirked his destiny- something the Sons are none too pleased about. It’s imperative we reach the Vigilante before they do. By capturing and deploying Zodiac Munzees we are confident that we can study his deployment patterns and can triangulate his location. September 2018 ZeeOps Operations are now live and you can begin planning your Missions to start on the following day. You can plan your Operations at munzee.com/ops/ and purchase more ZeeCred in the Freeze Tag Online Store. Since the focus of this month’s Operations is so celestial you’ll want to stock up on Zodiac stickers and credits. By completing any Operation this month you’ll earn the new* “LegaZeeOps- Operation: Star Seeker” badge. *Due to requests from the community all LegaZeeOps badges will now be different from the badge earned during the initial run of the month’s Operations. 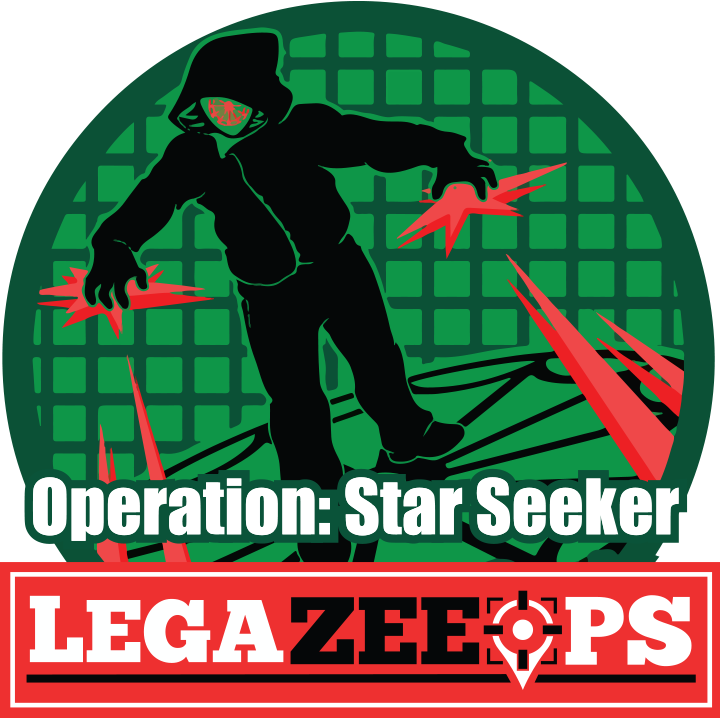 So players who earned the “Operation: Star Seeker” badge in February 2018 can earn also earn the “LegaZeeOps- Operation: Star Seeker” badge as well by completing a September 2018 Operation. 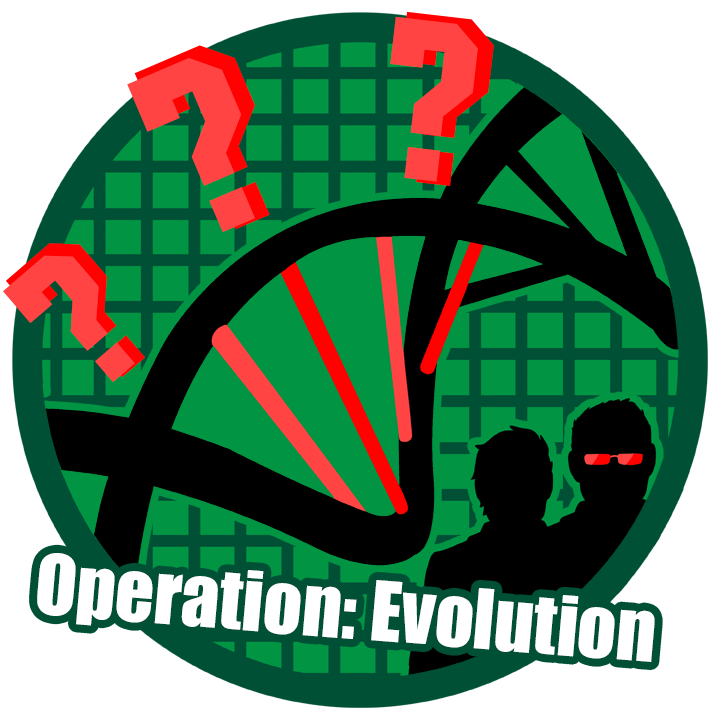 All players who completed an Operation last month (August 2018) will also be retroactively awarded the “LegaZeeOpps- Operation: Evolution” badge as well. Star Seekers– Deploy at least 10 Zodiac Munzees. Marks Of Mystery– Capture at least 15 Zodiac Munzees. Son Set– Capture at least 10 and deploy at least 5 Zodiac Munzees. Agents, ZeeOps HQ’s system has been hacked and all of our files on past missions have been erased! You’ll have to recreate past Operations in what we’re calling LegaZeeOps. It’s up to you to keep the legacy of this organization in tact. By completing any Operation this month you’ll earn the “Operation: Evolution” badge, which was previously available in January 2018’s Operations. Agents, despite Director Zee’s protests, ZeeOps scientists have continued experimenting on Evolution Munzees. The Director doesn’t want anymore surprises, so he has assigned ZeeOps Agents to handle the capture and release of both physical and virtual Evolution test subjects. With the First Clan and The Rising Sons preparing for war, you’ll need to stay sharp. To keep up your skills, this month will also feature the Mystery Mastery Program. You’ll need to capture and deploy Mystery Munzees of all shapes and sizes to prove you have mastered the Mystery. August 2018 ZeeOps Operations are now live and you can begin planning your Missions to start on the following day. You can plan your Operations at munzee.com/ops/ and purchase more ZeeCred in the Munzee Online Store. You can also track your Missions in the new Munzee app update. By completing any Operation this month you’ll earn the “Operation: Evolution” badge. Evolution Examination 2.0– Capture at least 5 different types of physical or virtual Evolution Munzees. NOTE capturing different levels of the same type of Evo will not count toward this mission. *Any mention of “Mystery Munzee” refers to both Mini Mystery Munzees and original Mystery Munzees unless otherwise stated. Earlier this morning we pushed Munzee 3.4.4 to the Google Play and Apple App Stores. Along with an updated scanner and minor fixes/improvements, this new version adds support for the Mini ZeeOps that can be earned by capturing the dossiers spilled by the new Briefcase Munzees. You must have the new version of the app installed for this feature to work properly. Good luck to those of you who are currently participating in a ZeeOp, and Munzee on! March 2018 ZeeOps Operations are now live and you can begin planning your Missions to start on the following day. You can plan your Operations at munzee.com/ops/ and purchase more ZeeCred in the Munzee Online Store. Remember that if you hit a snag at any point in your Operation you can use the new Mission Mulligan feature to keep going! By completing any Operation this month you’ll earn the “Operation: Gone Green” badge. February 2018 ZeeOps Operations are now live and you can begin planning your Missions to start on the following day. You can plan your Operations at munzee.com/ops/ and purchase more ZeeCred in the Munzee Online Store. 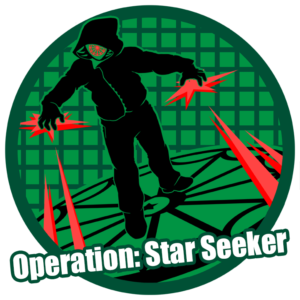 By completing any Operation this month you’ll earn the “Operation: Star Seeker” badge. As a part of this month’s Operations, all Evolution Munzees will be reset to their beginning stages if they’ve already reached their last stage. This will not allow other players to re-cap these munzees again, but the earlier stages will be available to players who have not capped that particular stage. January 2018 ZeeOps Operations are now live and you can begin planning your Missions to start on the following day. You can plan your Operations at munzee.com/ops/ and purchase more ZeeCred in the Munzee Online Store. You can also track your Missions in the new Munzee app update.